Let's Just Build a House! 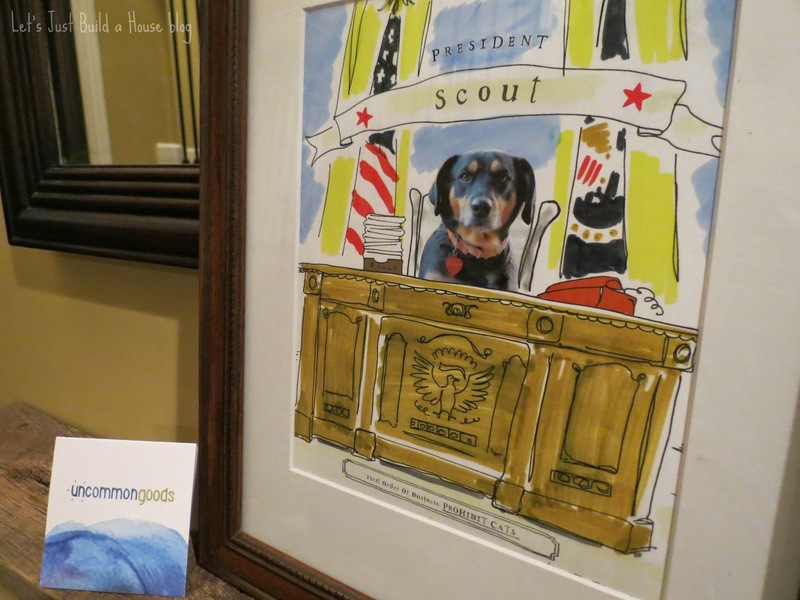 : Scout for President in 2016 and a Giveaway! Scout for President in 2016 and a Giveaway! Hello and happy new year! We've been working super hard getting the baby's room put together and we cannot wait to share with you soon! Today I will give you just an itsy bitsy peek of just a teeny part of the nursery. I've been working on what to hang on the walls for awhile now. Some of it is DIY, a couple have been gifts, and I've been scouring Etsy for a few perfect prints too. I love finding art and prints you can't find anywhere else. Speaking of original art, I have the cutest original artwork for the baby's room to show you today. I'm not kidding when I say it's the cutest. It's also sort of hilarious. Okay, it's really hilarious. Especially if you are a dog person. 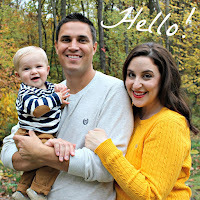 Right before the holidays, our friends at Uncommon Goods sent us a super adorable and fun print for the nursery. You are screaming over the cuteness aren't you? It's perfect. My husband is into history and politics, and well, I think Scout would make a really great president. We wanted to incorporate Scout into the the baby's room somehow, since we are pretty sure they will be darn good friends someday. I added a photo mat and a wood thrifted frame to make it official. It's going up on the wall this weekend! I can't wait to get it hung up with the rest of the goodies I've been collecting! 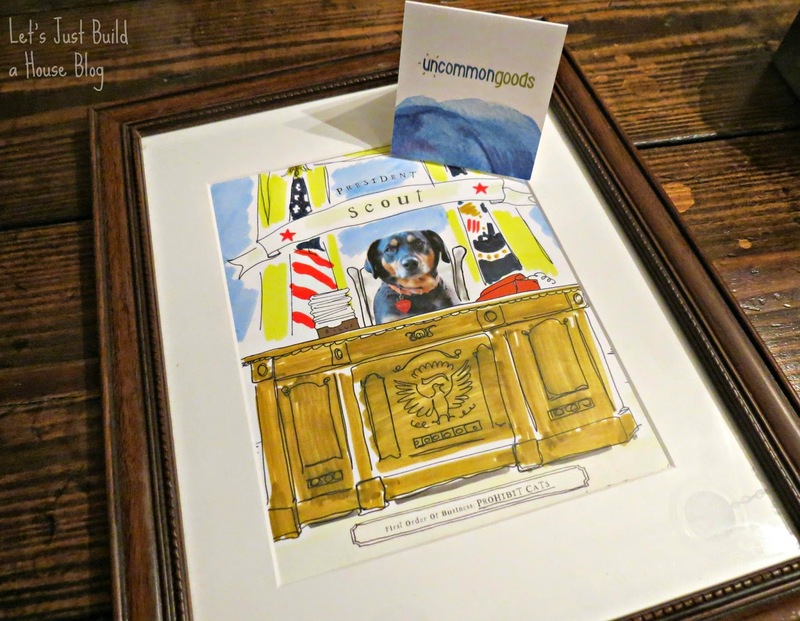 Have you ever shopped at Uncommon Goods? You should check them out. They have thousands of unique items, and fun stuff to be personalized just like the puppy president print! Check out Uncommon Goods when you are shopping for your next personalized gift...or better yet treat yourself! You will have a ball just looking at all the treasures they have to offer. I can make your shopping even MORE fun. Uncommon Goods is offering 1 reader of Let's Just Build a House a $25 gift certificate to shop with! One lucky reader will win! Enter below in the Rafflecopter widget! There are several ways to enter to win, just enter your email address then choose 1 or all the options to enter!